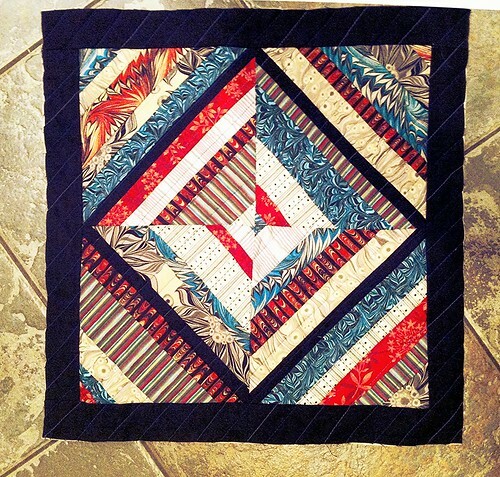 I love all the scrappy quilts I see, but I have never had enough fabric to make one myself. A couple nights ago I decided I had to make a pillow as a gift, so I pulled out a lot of my fabric and struggled to find some that worked. In the end I chose the same collection I used to make our dog bed. Not quite as scrappy as I was hoping, but I do love the colours and it is great to put it to use. I was able to finish the top of the pillow last night. All that is left is to sew the back fabric on and stuff a pillow in it! I love the way it came out. I will be honest, I paper pieced the squares and measured my paper squares to be 8.5" inches. After completing the first two I discovered that I did not make squares! I made rectangles. My solution was to cut them smaller. So instead of 8.5" square I ended up with 7.25" squares. The black border was my solution to bring the pillow top back to size. My Christmas Gift Sewing Work In Progress schedule. So as of today it looks like I have 4 things on my to do list. I have high hopes that I will be able to complete 2 or 3 tonight. I will be back after Christmas and hopefully be sharing some of my finishes with you.